Walking through the intimate reception space of the historic La Motte Wine Estate, crossing into the open courtyard, the first thing we noticed was that while visitors were engaging in different kinds of activities and experiences, everyone looked relaxed, content and well attended. The kind of atmosphere that makes you eager to join the mood, imitate fellow guests and tone down to level of serenity the grounds transmit. 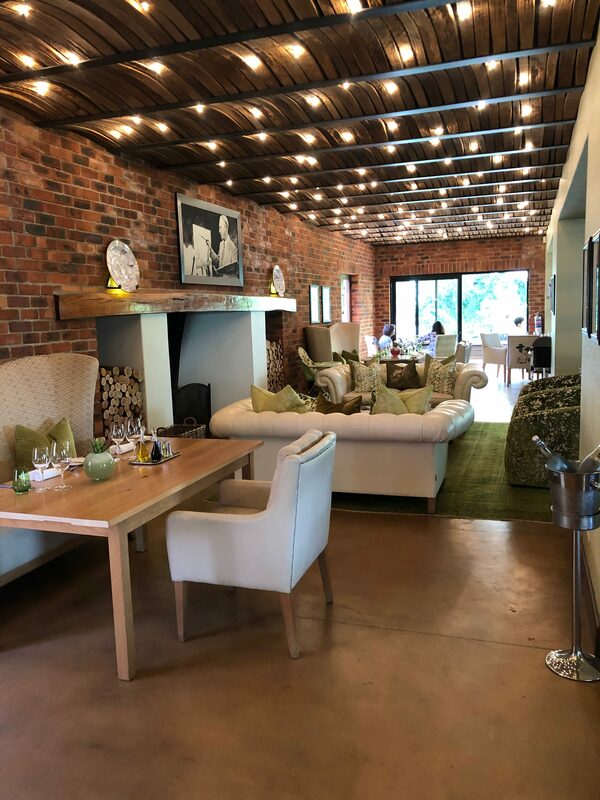 The visitor experiences La Motte offers is a balanced combination of history, art and current luxuries that can easily find you spending a full day on the estate with a multitude of reasons to come back for more. All the buildings originate from the Cape Dutch architectural era, preserved and modified to include and combine the new functions with a natural flow and synergy between them all. Firstly, the La Motte museum is the permanent host to the heritage collection of Jacob Hendrik Pierneef. It also reflects on the musical career of Hanneli Rupert, a well-respected South African talent and daughter to the owners and re-builders of the estate in the previous century. The museum also hosts changing exhibitions of fine art and the crafts involved in making them as it reflects through the work of well-known South African artists. Ink on Paper, the current exhibition in the La Motte Museum focuses on the main categories of printmaking, illustrated by a special selection of Rembrandt van Rijn etchings as well as works by relevant South African artists and printmakers. The exhibition is on display until July 2019. 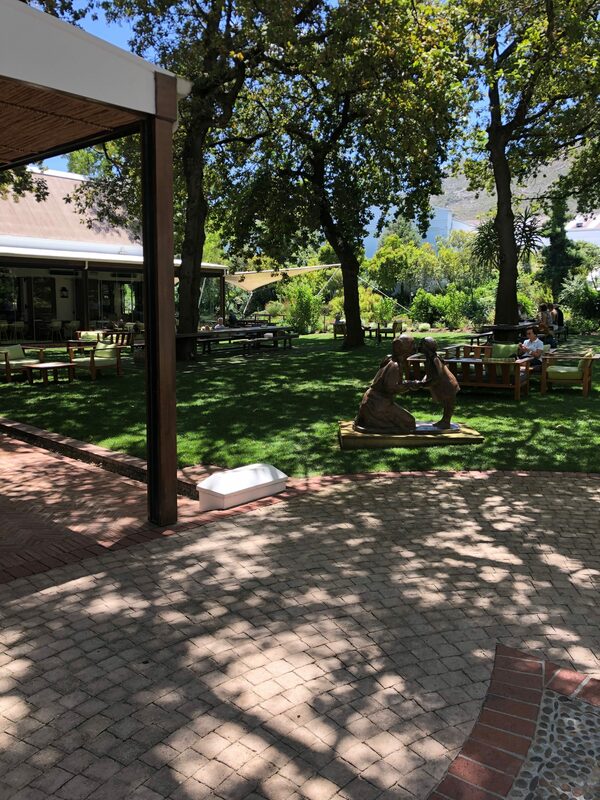 A visit to the museum is free but with the estate being dotted with a plethora of magnificent sculptures, the rich exhibitions, the rose garden and the historically restored Manor House, water mill, Jonkershuis and cellar you are welcome to book a guided tour with the curator and guides on-site. Art, historic and sculpture walks are available daily. The architectural walk is held every Wednesday. One of the known initiatives to La Motte wine fans, is the one of a kind Pierneef Collection series released every year. Each year sees a release of 3 bottles of different wine varieties with 3 new prints from the Pierneef art collection. The wine collection is personally picked by the owners to meet and maintain the high quality of collection and its’ avid followers. Only a few hundred cases are released each year, making it the perfect gift to your fellow wine gastronome. To learn more about the estate, the Franschhoek Wine Valley, the landscape and terroir, you can take a map and self-guide or join the Monday morning guided hike. 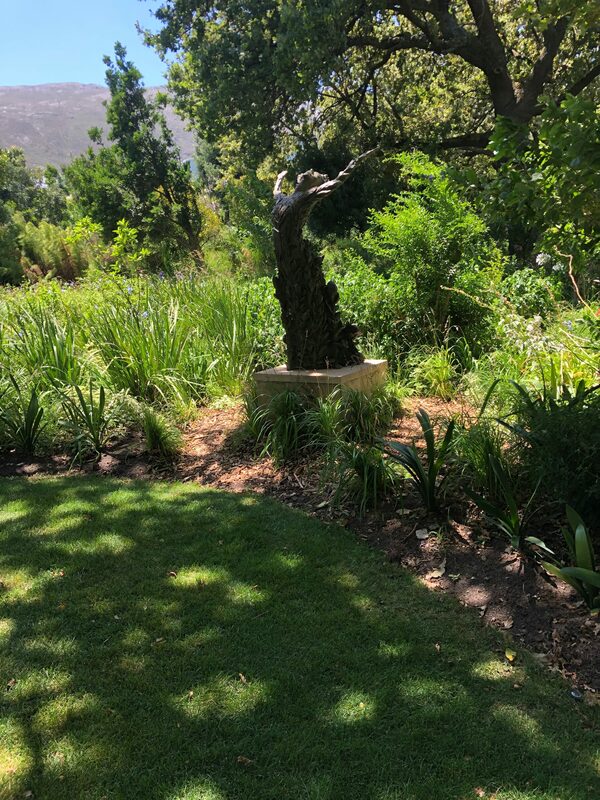 The Sustainable Hike is a further expression of La Motte’s commitment to the highest conservation and biodiversity standards and the protection of precious indigenous flora and fauna in the mountain area surrounding the estate and the adjoining Wemmershoek mountain range. The circular route, which starts at the La Motte Tasting Room, stretches over five kilometers, with the hiking trail section covering two kilometers. The time required to complete the trail is about two hours when walking and three hours when strolling. The top of the trail holds a beautiful surprise in the form of a well maintained, small indigoes garden, planted and nurtured by the estate’s own legendary viticulturist. 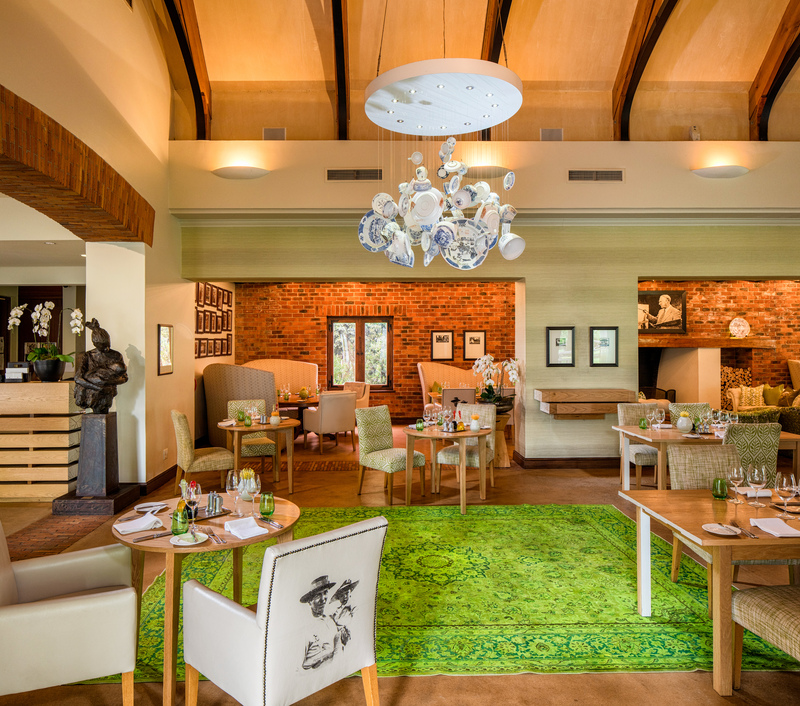 The estates’ flagship restaurant, Pierneef à La Motte, is a classical fine dining location with a long lasting reputation. Open for lunch, you have a choice between a 2 or 3 course meal. 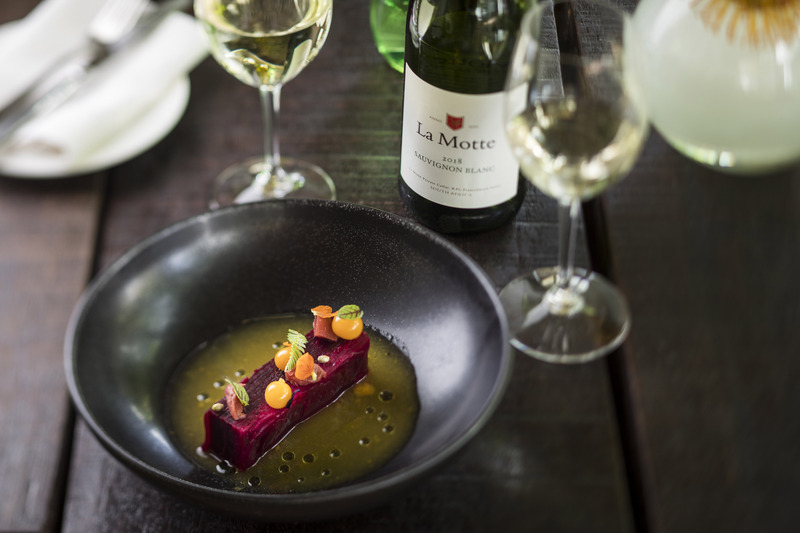 Dishes served in Pierneef à La Motte Restaurant are based on recipes used and modified over more than three centuries as different cultures contributed to the shaping of the local cuisine. Recently launched and available throughout summer months, all the way to Easter is the Garden Menu. 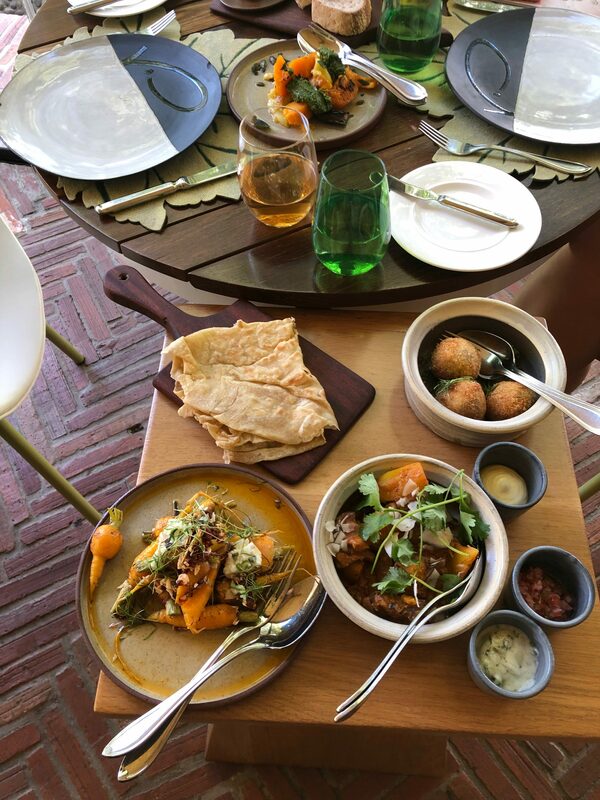 A lighter interpretation of local cuisine, served in small plates to share on the restaurants verandas or in the physical garden, under the oak trees. The small building between the museum and the restaurant is occupied by the Farm Shop and The Bar. The farm shop stocks local fresh and packed goods, estate wines, wine accessories and complimenting objects for when hosting a gourmet dinner or event. The Bar serves wine and locally crafted beers, it is a great occasional meeting point and a way to experience and soak the atmosphere without obligation for a seating time frame. Wine tasting is available in a separate building and is at the front of the maturing cellar, allowing you to both feast your eyes and inhale the different aromas surrounding the art of wine making. The Current Vintage tasting and the Wine & Food Tasting are made in a communal area, seated around tables of various sizes. 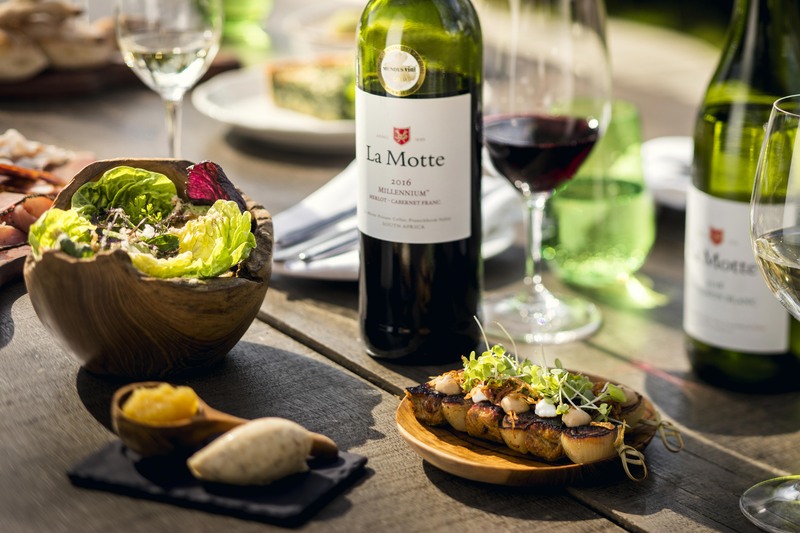 Knowing the popularity of La Motte, pre booking for any kind of tasting is well advised. For more sophisticated and knowledgeable pallets, the estate offers the Vinoteque Tasting. This is an innovative and informative tasting of the Cellarmaster’s choice of older vintages or special Syrah styles. 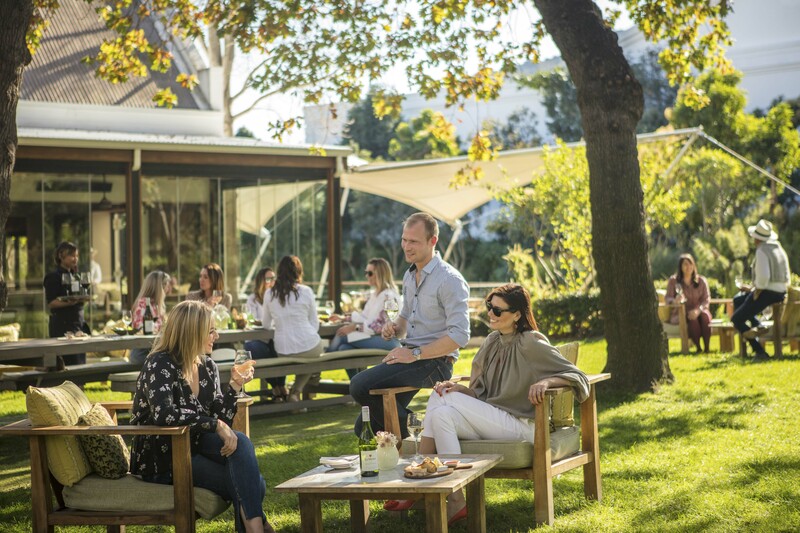 Sit down in the elegant private tasting room for a personalised tasting where the history of wine-making at La Motte will be discussed in the broader context of the Franschhoek Valley and Cape winemaking region. Learn more about the benefits of bottle ageing and maturation in the Vintage tasting or discover what makes La Motte internationally and locally acclaimed for its Syrah wines in the Syrah tasting. Strictly by appointment only.